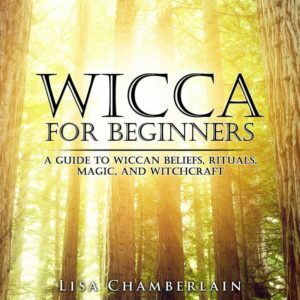 What is Wicca? The answer to this question can vary, depending on who you ask, but below you’ll find a general introduction to this fascinating spiritual path. Wicca is a modern, Earth-centered religion with roots in the ancient practices of our shamanic ancestors. Its practitioners, who call themselves Wiccans, honor the life-giving and life-sustaining powers of Nature through ritual worship and a commitment to living in balance with the Earth. Wicca is technically classified as a Pagan religion, though not all Wiccans would identify as Pagans—and plenty who identify as Pagans are not Wiccans. In truth, Wicca is extremely dynamic and ever-evolving, so it’s difficult to make very many statements about it that every single person identifying as a Wiccan will agree with. However, it’s probably safe to say that when looking at the night sky, or the view from the top of a mountain, or the glassy surface of a lake, most—if not all—Wiccans will feel very much in the presence of the divine. So then, what is Wicca? What does it mean to be a Wiccan? And what are the core beliefs of Wicca as a religion? The deities of Wicca are the Goddess and the God, who are the female and male essences of the all-encompassing life force responsible for all of creation, including the cycles of life and death on Earth. The God and Goddess are worshipped at regular intervals throughout the year. Festivals emphasizing the God are known as Sabbats. Corresponding with the Earth’s position relative to the Sun, they include the Solstices, the Equinoxes, and the four cross-quarter days that fall in between these solar points. The Goddess, on the other hand, is worshipped at every Full Moon, and these holidays are called Esbats. Taken together, all of these ritual celebrations comprise the Wheel of the Year, which Wiccans actively participate in “turning” as they mark the natural cycles of planting, growth, harvesting, and dying back. In this worldview, death is seen as an essential part of ongoing creation, as the old must make way for the new. The shadow side of life—represented by the “dark of the Moon’’ just before the Moon turns new again—is every bit as important as the light. In this spirit, some forms of Wicca have a tradition of the “light half” and “dark half” of the year, marked by the Summer and Winter solstices, respectively. Wicca is a very unique religion for many reasons. First, unlike the dominant monotheistic, organized religions such as Christianity, Judaism and Islam, Wicca has no designated centers of worship. Instead, the Wiccan faith consists of a very decentralized community of groups and individuals who may worship in public spaces, in the privacy of their own homes, and/or outdoors in natural settings, either with others or alone. Second, there is no official “holy book” or specific, rigid ideology that all practitioners are expected to adhere to. While there are several beliefs that Wiccans have in common, there is no single way of understanding the divine that is considered to be more “correct” than another. For example, some Wiccans have a pantheistic view of the world, meaning they believe that the same divine source is present in all of nature, while others are more polytheistic, incorporating one or more additional deities from ancient religions into their practice along with the Goddess and God. This fluidity within the overall Wiccan belief system is a welcome aspect to many who discover the religion, as it allows—and even encourages—people to seek their own truths as they make their way along their own spiritual path. Indeed, there is really an infinite variety of spiritual paths that fall under the umbrella term of “Wicca.” In fact, it could be said that the only absolute tenets within the larger umbrella of Wicca are the inherent divinity of Nature, and our responsibility to respect and care for the Earth. 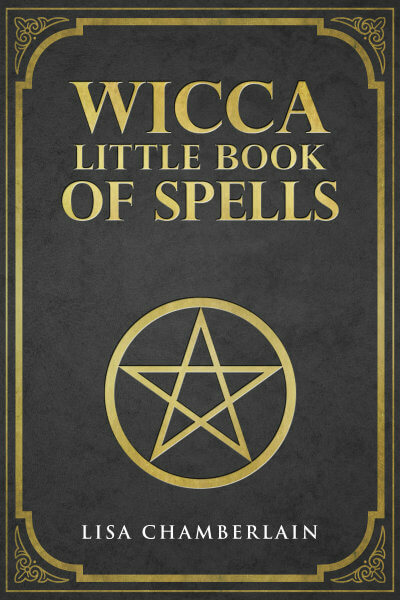 Many people asking the question “What is Wicca” have heard of the associations between Wicca and magic. This is because many (but not all) Wiccans tap into their personal connection with the divine energies of Nature to actually shape the circumstances of their own lives, as well as to work for the benefit of others. This practice is known as magic, or “magick,” as it is often spelled within the Wiccan and larger Pagan community. Magic is a much older tradition than Wicca itself, and is definitely not exclusive to Wicca, but there are a few common characteristics of the practice among those who follow Wicca that give it a particularly “Wiccan” feel. For one, magic is often incorporated into the rituals performed at Sabbats and Esbats, and plenty of Wiccans also perform spellwork at the New Moon. Wiccan magic generally involves the use of ritual tools and ingredients such as candles, crystals and herbs, as well as spoken chants and affirmations, and may call upon the God, the Goddess, and/or other “lesser” deities for assistance in manifesting the desired outcome. Wicca is described as a modern religion, yet there is a sense of timelessness to the way in which Wiccans tune into the forces that make up our world. Much has been made of the question of just how far back in the past Wicca actually stems from. The origins of what we now refer to as Wicca are traced back to England in the first half of the 20th century, and to a spiritual pioneer by the name of Gerald Gardner. Seeking to revive what he believed was an ancient religion that had been almost completely eradicated by the spread of Christianity throughout Europe, Gardner and a few fellow spiritual explorers formed a coven and began performing rituals devoted to the worship of the Goddess and the God. The specific names for these deities, as well as most other details of the coven’s practice, were kept secret under oath by the coven members, and passed down to new members only upon initiation. Over time, this new practice of what many Wiccans refer to as “the Old Religion” began to spread, as members of Gardner’s group went on to form their own covens, which led ultimately to the spread of what came to be called “Wicca” from England to North America and beyond. Eventually, it became clear that there was not, in fact, a verifiable direct link between Wicca and a singular pre-Christian pagan religion. Nonetheless, Wiccans do feel a timeless connection to the ancient energies of the Earth, which are very much still active today, and can be tapped into by communing with Nature. Although there are still traditional covens following in the lineage of Gardner and his colleagues, much of what is practiced today in the name of Wicca bears little, if any, resemblance to the Wicca of the 1940s and 50s. Most Wiccans are solitary practitioners, who are not initiated into a specific tradition but rather borrow elements from various sources to create their own eclectic practice. This phenomenon of “DIY” Wicca, along with the rising popularity of the faith all over the globe, has resulted in an extremely rich and diverse religion that continues to evolve with each passing day. For people who are new to the faith, the amount of differing and sometimes even conflicting information about Wicca can be daunting. But for those who are naturally drawn to forging their own path in life, the diversity to be found within Wicca can be incredibly rewarding. This has been just a very brief answer to the question “What is Wicca?” You can find many other articles here on Wicca Living that go into more depth about everything discussed above. You should also check out the books by Lisa Chamberlain as well as her recommended reading list.